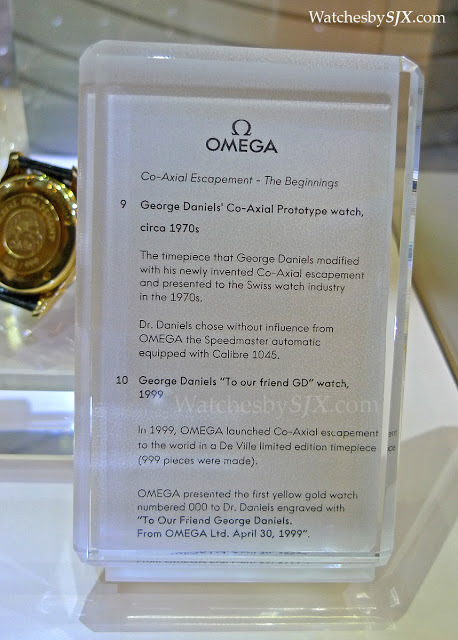 Dedicated to the George Daniels’ greatest invention, the Omega Co-Axial Exhibition just opened in Singapore and we went for visit. 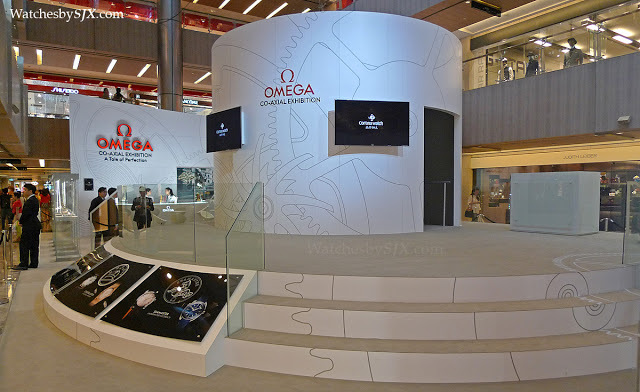 Named after the Co-Axial escapement invented by George Daniels and now synonymous with Omega, the exhibition covers both Omega’s history and its current watchmaking. 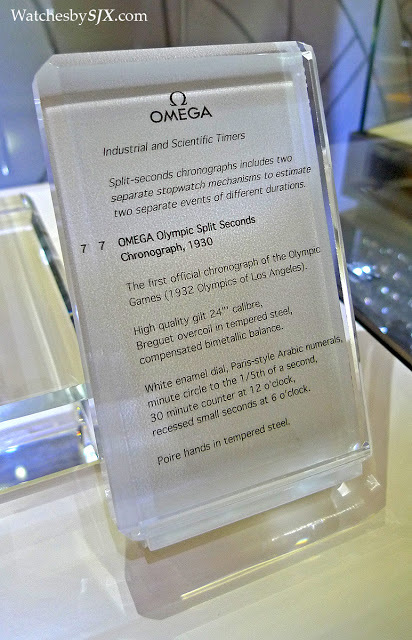 The exhibits include historical Omega timepieces, including the first ever Omega pocket watch, as well as technical information on Omega’s current watchmaking. 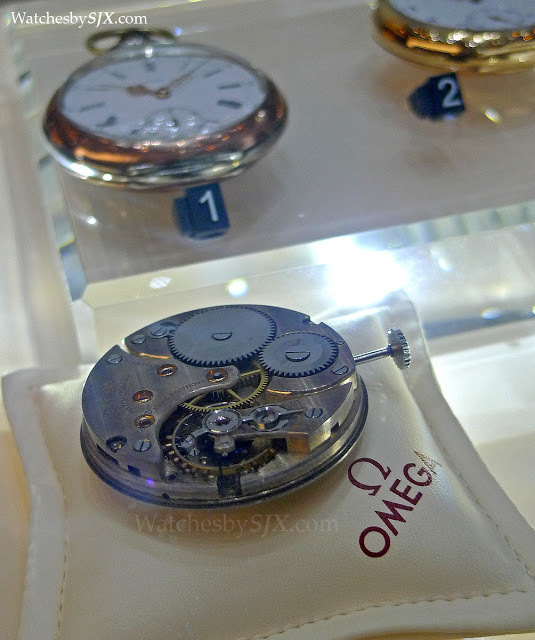 The historical portion is compact but informative, with several important, vintage Omega timepieces on display, including the pocket watch which gave the company its name. 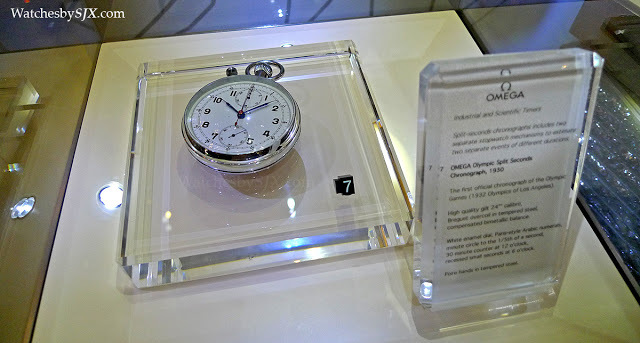 Named after the last letter of the Greek alphabet, the Omega pocket watch was a mass produced timepiece with interchangeable movement parts, a rarity in the nineteenth century. 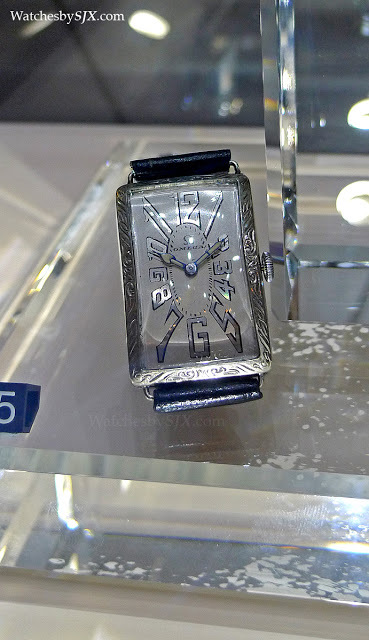 Before the Omega pocket watch the company was named Louis Brandt & Freres after its founder. 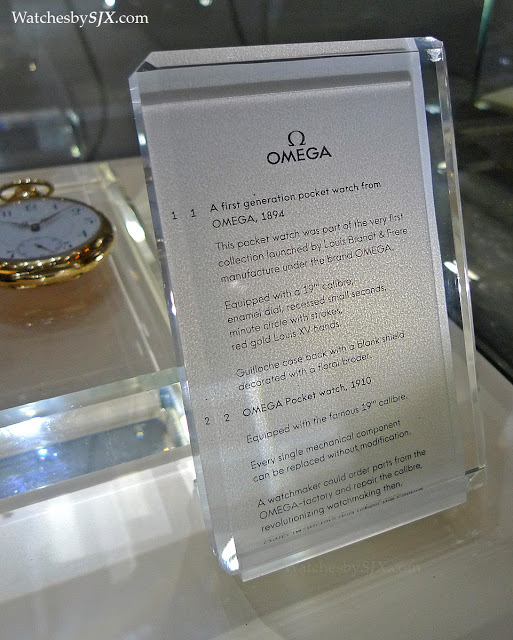 Also on display is the prototype Omega De Ville Co-Axial wristwatch, numbered 000/999 and engrave “To Our Friend George Daniels”. 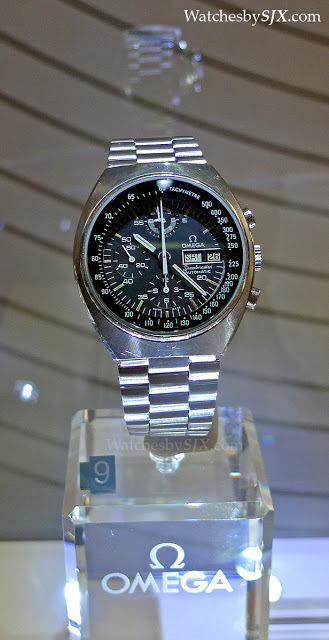 And perhaps more important is the Omega Speedmaster which George Daniels fitted with the Co-Axial escapement back in the seventies. 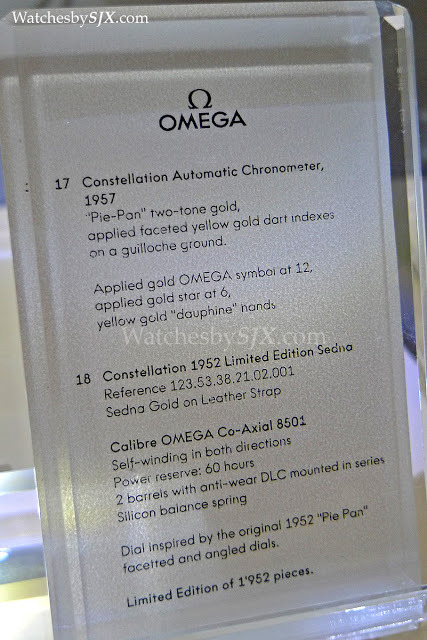 Both of these were purchased by Omega at the Sotheby’s sale of Daniels’ estate last year. 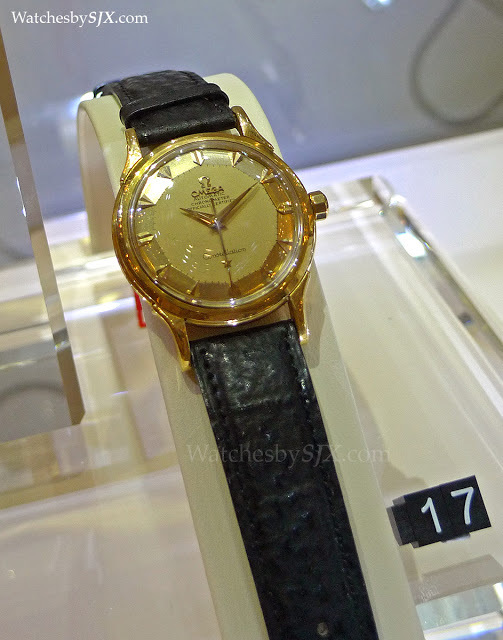 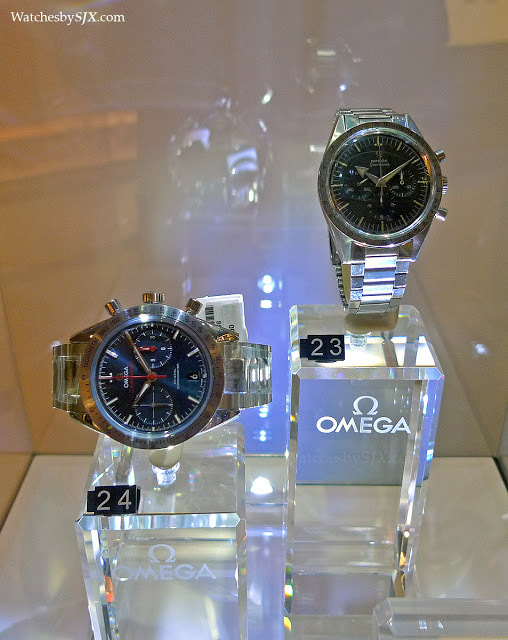 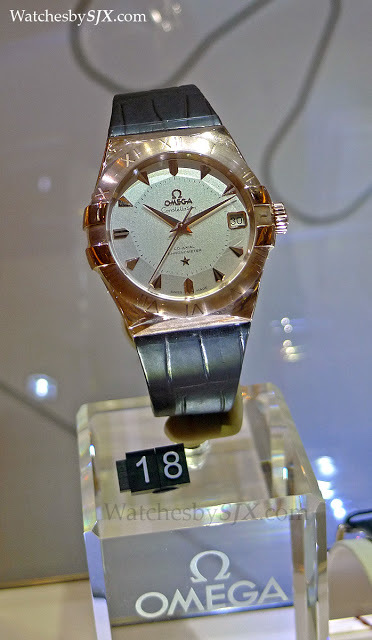 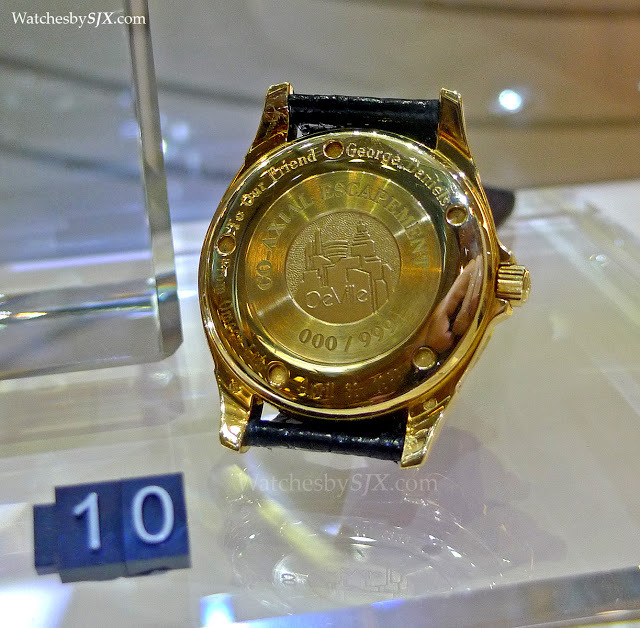 Other key Omega timepieces like the Speedmaster and Constellation “Pie Pan” are also on show.